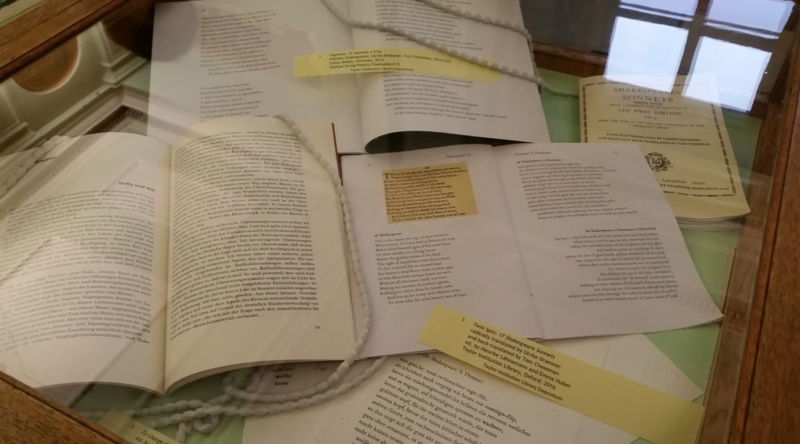 The Faculty of Modern Languages has an established tradition of using original library materials (including early printed books, etc.) not only for research but also for teaching at all levels. In supporting this, the Taylor Institution Library has sought to acquire books of valuable academic content for use by academics and students alike, rather than focus on fine or pristine editions. 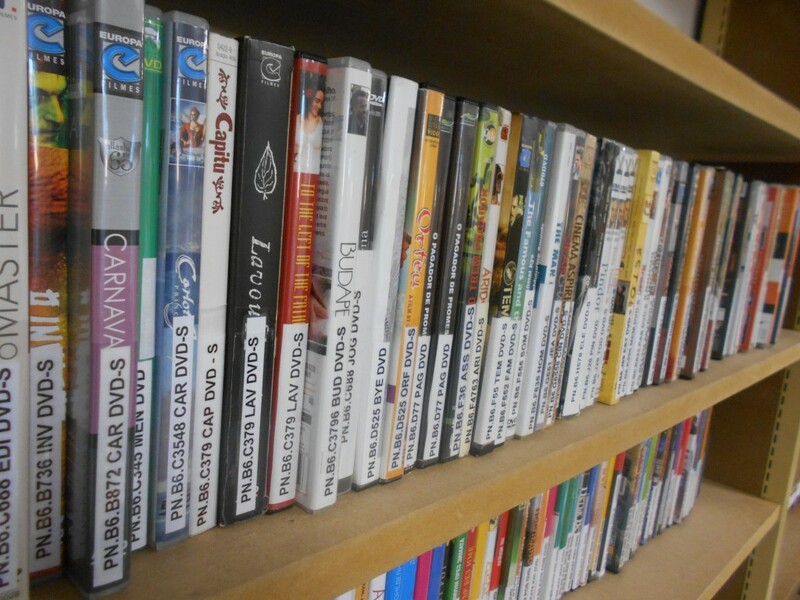 The Library recognises that its collections provide opportunities for valuable user engagement activities. This document highlights some of the ways the Library is able to support these activities, and the related procedures in place. 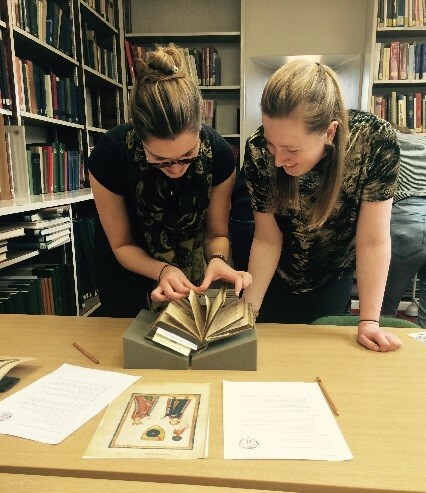 There are opportunities for public engagement across the Bodleian Libraries. 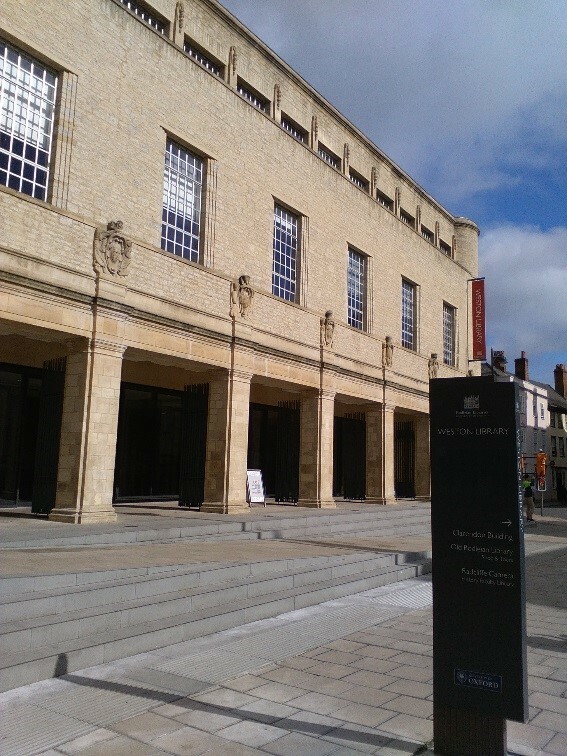 The Bodleian Library may be able to provide display cases in the Weston Library for small exhibitions to coincide with workshops and conferences. These displays are normally on view for a few days only. They are open to the public. Materials on display must be held by the Bodleian Library/Weston Library. Proposals are also welcomed for larger displays in the Weston Library or the Proscholium to the Old Library. Proposals should be submitted at least one year in advance. Displays usually last for up to eight weeks. Major, longer term exhibitions are held in the Weston Library’s temporary exhibition gallery. They are planned several years in advance. Examples include Shakespeare’s Dead (2016). Your Subject Librarian can put you in touch with the relevant Bodleian/Weston staff member/s if you would like to discuss curating a display or exhibition in one of the above-mentioned spaces. If a physical display space is not available, then a virtual display may be another option, making use of the interactive screens in Blackwell Hall. 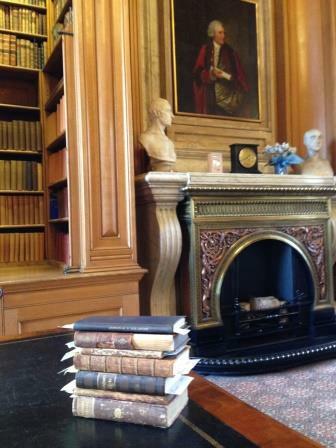 Exhibitions in the Taylor Institution Library are held in the Voltaire Room. They are designed to showcase the Taylorian’s collections. They are on view for approximately two weeks and are not open to the general public, but can be made more visible through blog posts, exhibition catalogues, accompanying events, and social media. Academics and students are very welcome to curate such exhibitions, in liaison with the relevant Subject Librarian. Please be aware that many Subject Librarians work part-time only. Hence it is highly advisable to contact your Subject Librarian at least 2-3 months in advance to discuss an exhibition proposal. If you are organising a conference or other event and think an accompanying exhibition appropriate, this should be factored in at the very beginning of the planning process and discussed with your Subject Librarian at that time. Any accompanying exhibition catalogue or other publication should also be discussed at this stage. Delegates enjoy a temporary display. 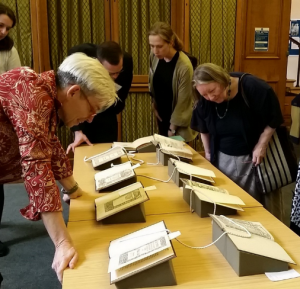 If you are organising an event that does not require a full exhibition (e.g to accompany a research seminar/evening event), the Library may be able to help organise a temporary display. Display items are selected and shown in the appropriate seminar room for the duration of the event rather than in the Voltaire Room exhibition cases. Please contact your Subject Librarian at least 4 weeks in advance to discuss temporary displays. In order to preserve our collections for continued use by researchers, the Library reserves the right to withhold items from exhibitions if they are fragile or otherwise unsuitable for display. 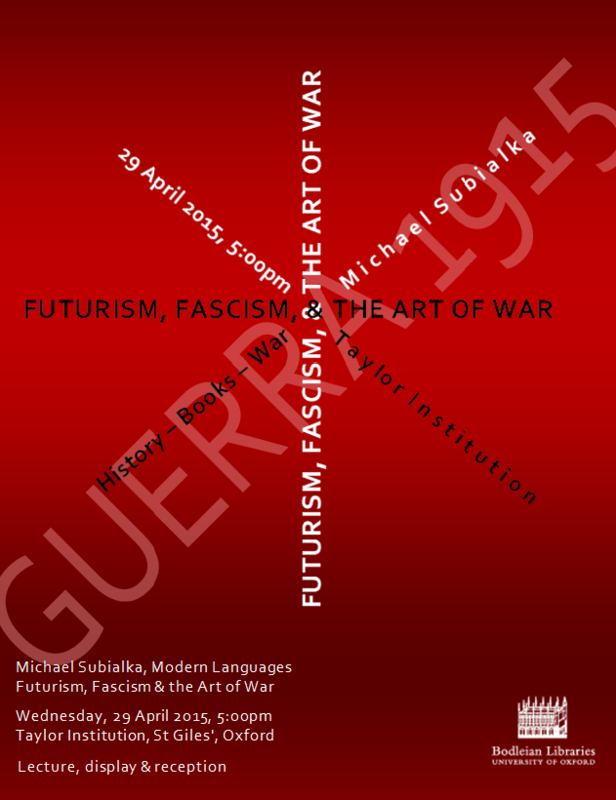 The Library is happy to assist with promoting the exhibition. Library staff will help produce and print posters, will circulate details to college libraries, and will promote the exhibition on appropriate mailing lists and the Library’s website, as well as through social media. Poster design must be finalised four weeks before the exhibition. It should include the phrase “Taylor Institution Library” and the Bodleian Libraries’ logo. If you require professional quality printing this must be arranged separately. The Library is not able to cover external printing costs. Captions, details of book openings and accompanying display text must be provided at least two weeks in advance, to allow for consistent formatting and laminating (which will be done by the Library). Text will be headed with the phrase “Taylor Institution Library” and the Bodleian Libraries’ logo. Library staff will install the exhibition on the date agreed. Given sufficient notice, library staff may be able to collaborate in presenting the exhibition. 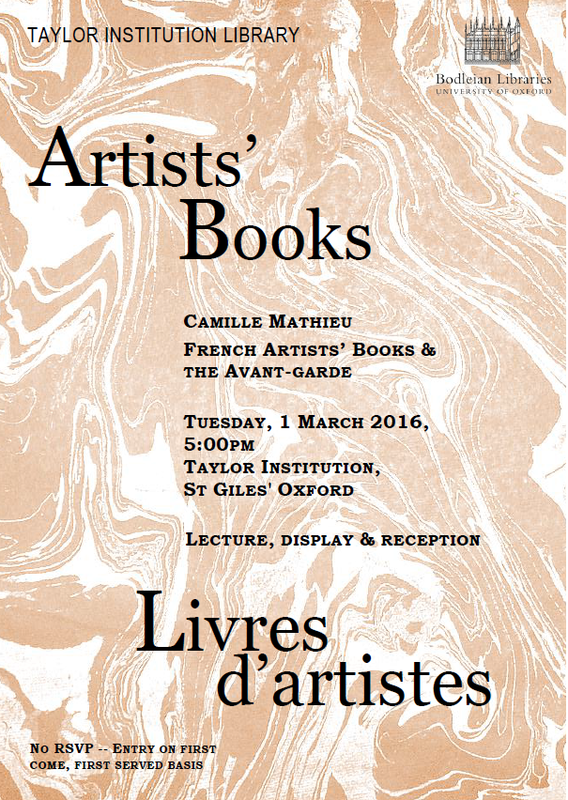 Exhibition catalogues: See Print on Demand Publications (below). 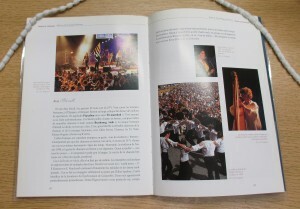 The Library is able to publish short-run publications such as exhibition catalogues, translations and facsimiles of out-of-copyright texts. 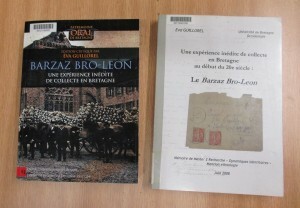 These publications must make use of the Library’s collections in some way. The published books are then available from online booksellers such as Blackwell’s, Waterstone’s and Amazon. The title page should include the phrase “Taylor Institution Library” and the Bodleian Libraries’ logo. Please discuss your requirements with Emma Huber, Subject Librarian for German and the Library’s digital publications co-ordinator, at least 3 months before your desired publication date. 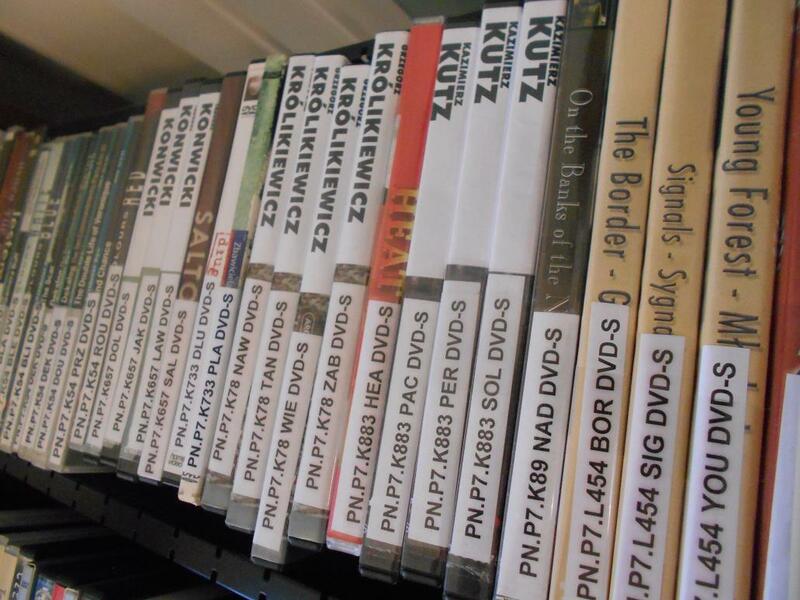 Approximately 40 copies must be sold in order for the library to break even on the publication costs. Conference organisers are advised to factor the price of the catalogue (usually about £3) into the conference fee and provide each delegate with a copy in order to ensure costs are covered. If Print on Demand is not suitable for your publication, please still discuss this with Emma Huber, as alternative solutions may be available. 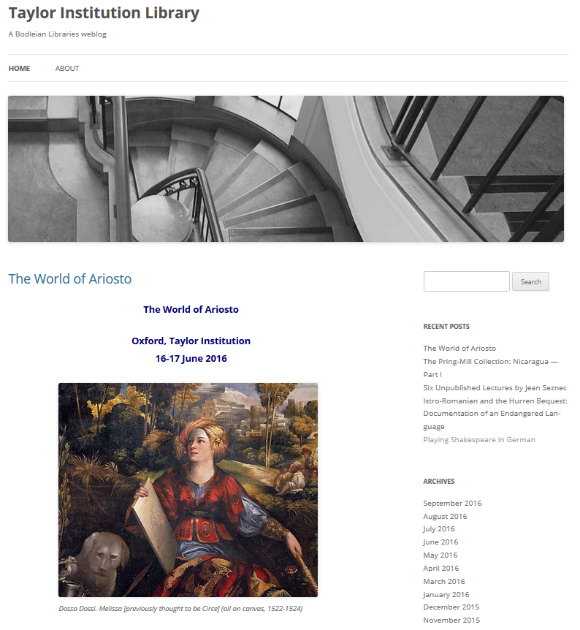 The Taylor Institution Library blog is curated by the staff of the Taylor Institution Library. 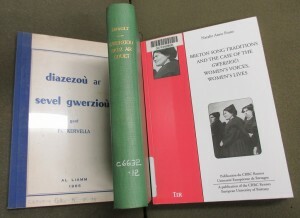 The aim of the blog is to highlight items of interest in the Library’s collections and contribute to bibliographical scholarship in modern languages and linguistics. 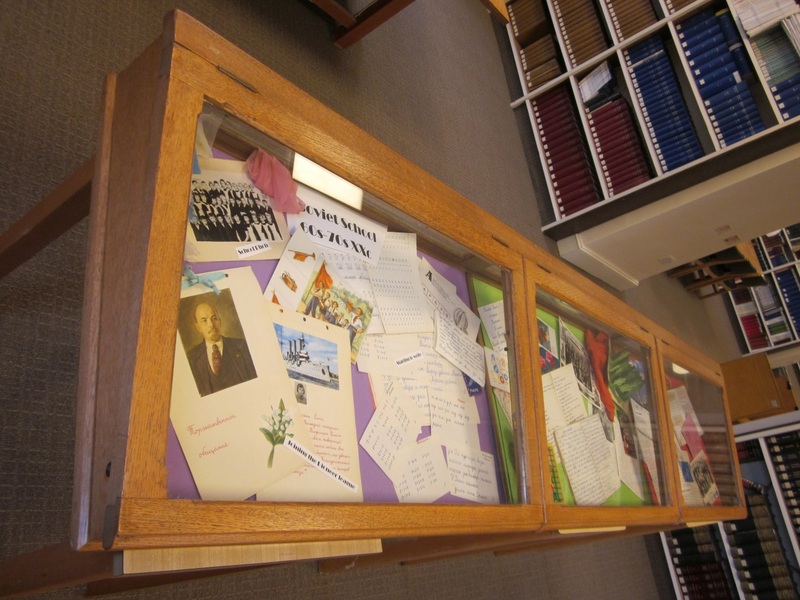 Contributions focus on important new acquisitions, items in the Taylorian’s Special Collections, less well-known materials, unusual or alternative formats, and projects, events and research using the Library’s collections. Guest posts on the Taylorian blog are very welcome. Posts are published on a two-weekly cycle (approximately). 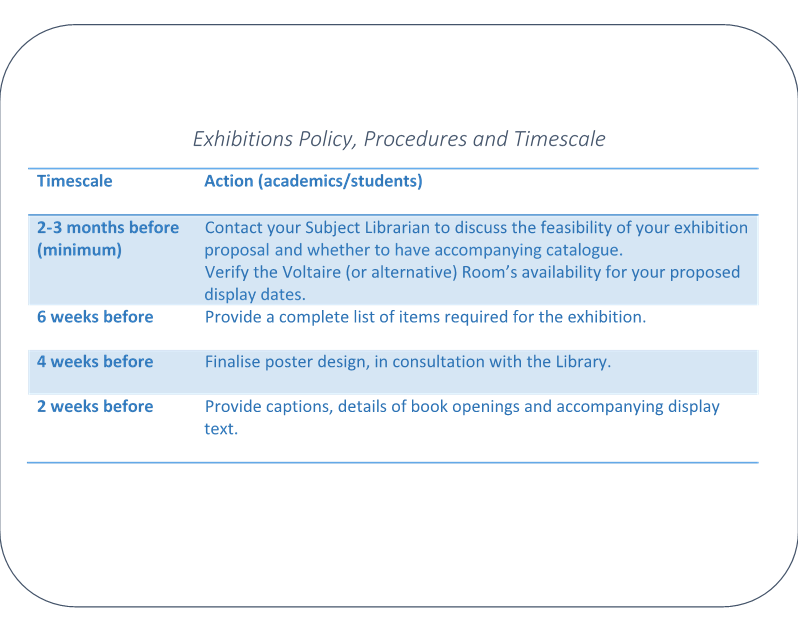 Please speak to your Subject Librarian at the beginning of the exhibition planning stages if you would like your post to coincide with a particular event. 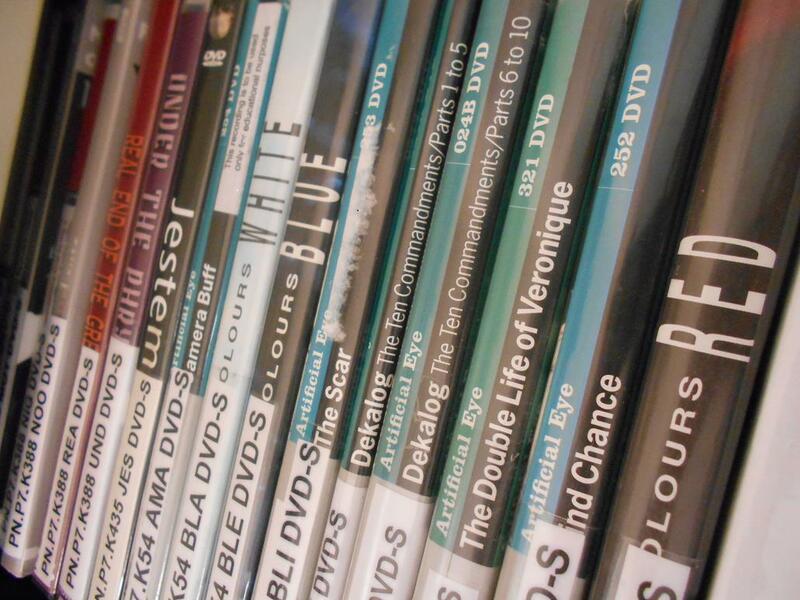 Posts must discuss the Library’s collections in some way, but do not have to relate to an exhibition or event. 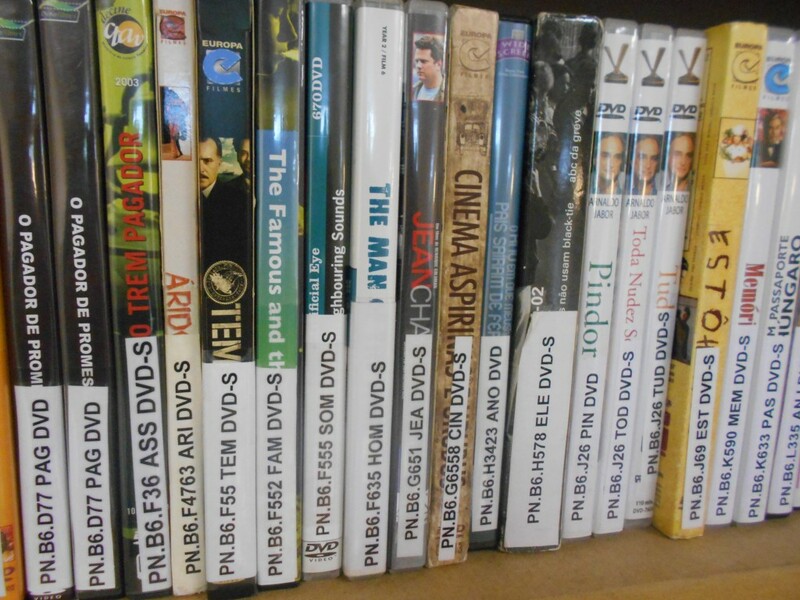 The library has Twitter and Facebook accounts, both with a large readership. 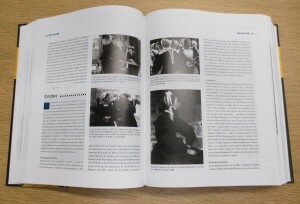 The library usually retweets anything which makes reference to the library’s collections, which can help to raise the profile of researchers and their work. Remember to include @TAYoxford in your tweets, and if posting images from our collections please remember to check they are out of copyright, and reference them properly with a shelf mark! Please feel free to get in touch if you have any more suggestions or would like more information about any of the topics covered in this blog. This entry was posted in Collections and tagged book displays, exhibitions, impact, print on demand, public engagement, research, social media on 7 November 2016 by Dan Q. 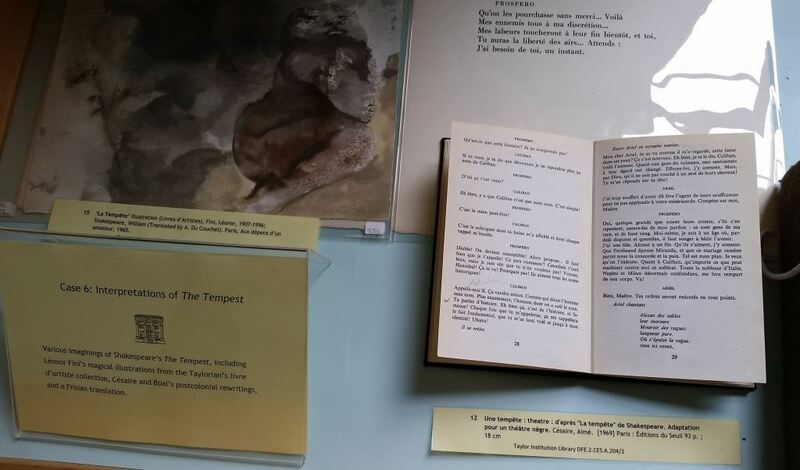 The Taylor Institution’s ‘Shakespeare in Translation’ exhibition illustrates the broad linguistic scope of Shakespeare reception across Europe. His plays have a particularly long history of adaptation and translation in German. This post explores some of the milestones in that history, from anonymous reinterpretation while Shakespeare was still writing, all the way to Brecht’s radio plays the twentieth century, via the authoritative Schlegel-Tieck edition of the early nineteenth century. In 1586, the English comedians arrived in Germany, and continued to perform until 1660. It was they who provided Germany’s introduction to Shakespeare, during the playwright’s lifetime. Their repertoire included plays loosely based on Shakespeare’s – emphasis on the word ‘loosely’. The name ‘Shakespeare’, however, was not associated with these plays, and is generally thought not to have been mentioned in Germany until Daniel Georg Morhof’s Unterricht von der Teutschen Sprache und Poesie in 1682. 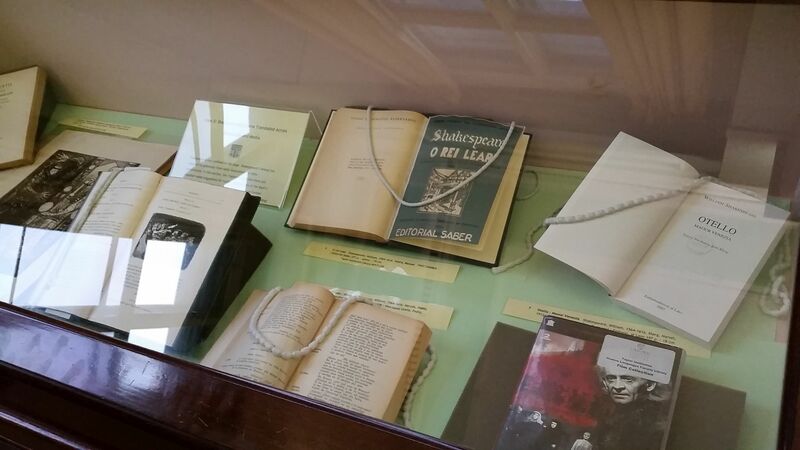 Even if divorced from the name of Shakespeare, these plays do represent very early reception of his works in Germany. 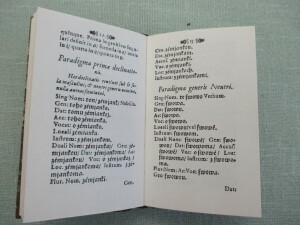 Some of the texts survive, both in fairly modern and near-contemporary editions, of which the oldest is Englische Comedien und Tragedien (1620). The eighth play in this collection is a German translation and adaptation of Titus Andronicus, making it the first of Shakespeare’s plays to be printed in Germany, as well as the first to be printed in England. Its temporal proximity to the earliest English performances of the play, as well as that fact of its being performed by English actors (some in English, and some in German), mean that we can learn a great deal about the history of Titus Andronicus and its original performance from this printing. 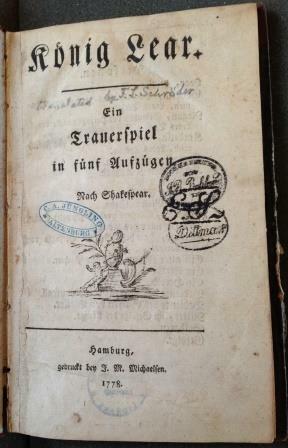 In the 1820s, Ludwig Tieck re-edited Schlegel’s translations to produce Shakespeare’s dramatische Werke. Uebersetzt von August Wilhelm von Schlegel, ergänzt und erläutert von Ludwig Tieck (1825-33). In the introduction, Tieck takes it upon himself to warn his readers against another set of translations which began appearing in the intervening years between Schlegel’s original publication, and his own reissue: that of Johann Heinrich Voss and his sons, Shakespeare’s Schauspiele von Johann Heinrich Voß und dessen Söhnen Heinrich Voß und Abraham Voß (1818-1829). Schlegel was not himself involved in this new version and was furious, both at the reissue of his work, and at Tieck’s supposed improvements (Paulin, p. 344). 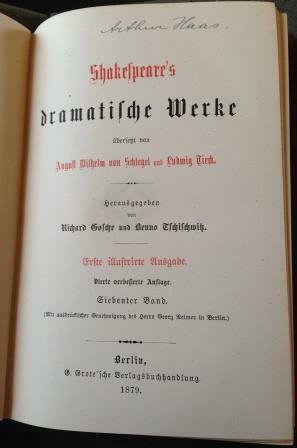 The Schlegel-Tieck edition is viewed as a ‘German classic in its own right’ (Korte and Spittel, p. 269), and Friedrich Gundolf viewed Schlegel’s work as the endpoint and the high-point of a development of Shakespeare as belonging to the German spirit, which had begun with Lessing (Gundolf, p. 356). But it was also a question of timing. George Steiner describes Schlegel’s translations as ‘formidable re-creations of the English text [which] coincided precisely with the time in which the German language was coming of literary age’ (Steiner, p. 156). 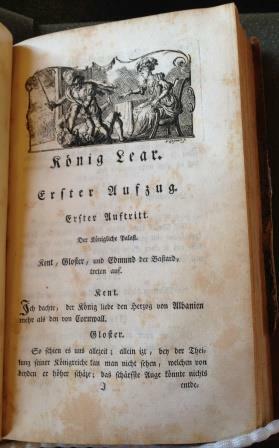 The Schlegel-Tieck edition, however seminal, did not put an end to the translation of Shakespeare into German. Paulin identifies the translations by Ernst Ortlieb (W. Shakespeare’s dramatische Werke (1842-43)) and Friedrich Bodenstedt (William Shakespeare’s Dramatische Werke (1867-71) as having been undervalued (Paulin, pp. 331, 329), and indeed they have received little modern critical attention. Moving into the twentieth century, Friedrich Gundolf’s enduring contribution to Shakespeare studies must be his Shakespeare und der deutsche Geist (1911), but a decade later he published Shakespeare in deutscher Sprache (1920-22). This, though, is ‘today only [of] antiquarian interest’ (Paulin, p. 488). Where translations of individual works are concerned, we see some famous names, and some that are less familiar. The Taylor Institution holds several translations by the actor, theatre manager, and dramatist F.L. Schröder, including his Hamlet and König Lear (both editions 1778), as well as Gottfried August Burger’s Macbeth (1783). Schröder’s production of Hamlet had a particular influence on German literature, for it inspires the hero of Goethe’s Wilhem Meister’s Lehrjahre (himself named for Shakespeare) to want to put on a complete German version of the play. Hamlet, indeed, is discussed at length in the novel. Bürger, meanwhile, was Schlegel’s mentor, and although Schlegel had little complimentary to say about this version of Macbeth in later life, ‘it was Bürger who in 1789-93 was able to instil in the young Schlegel the confidence to produce a verse Midsummer Night’s Dream quite distinct from Wieland’s’ (Paulin, p. 311). Seventeen years later, Schiller also produced an adapted translation of Macbeth, and in 1812, Goethe, who as theatre director in Weimar produced a number of Shakespeare’s plays, put on his own adapted version of Romeo and Juliet, although thereafter he lost interest in translating Shakespeare. Moving forward over a century, we come to Bertolt Brecht, who used elements of many of Shakespeare’s plays in his writing, and whose free adaptations were tailored to his own critical and political purposes. In October 1927, his adaptation of Macbeth was performed on the Berliner Rundfunk radio station, but the manuscript is now lost. The same station also broadcast his Hamlet in 1931. Between 1951 and 1953 Brecht also produced a partial translation of Coriolanus. Although it remained unfinished, it was nonetheless translated back into English by Ralph Manheim. Four hundred years after his death, Shakespeare’s popularity in Germany shows no sign of waning. He is perhaps as present in German schools as in English. Despite the great variety of interpretation made possible through the different acts of translation outlined above, however, the status of Schlegel’s achievement means that German has a standard version of Shakespeare which has something like the status which the original has in English. But while this post has focused on German translators of Shakespeare, they are only one aspect of German Shakespeare reception. Germany also has a long tradition of Shakespeare critics and commentators, some of whose names are well known, and some of whose stories have been almost forgotten. Korte, Barbara, and Christina Spittel. 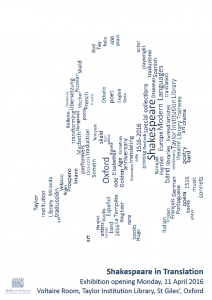 “Shakespeare Under Different Flags: The Bard in German Classrooms from Hitler to Honecker”. Journal of Contemporary History2 (2009): 267–286. 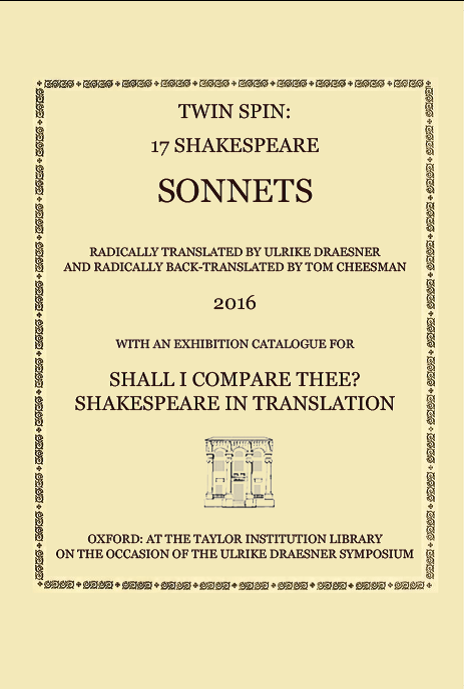 This entry was posted in Collections and tagged exhibitions, German, Shakespeare, translations on 20 May 2016 by Dan Q. The Taylorian is known for its collections on Modern European Languages, be it East- or West-European. 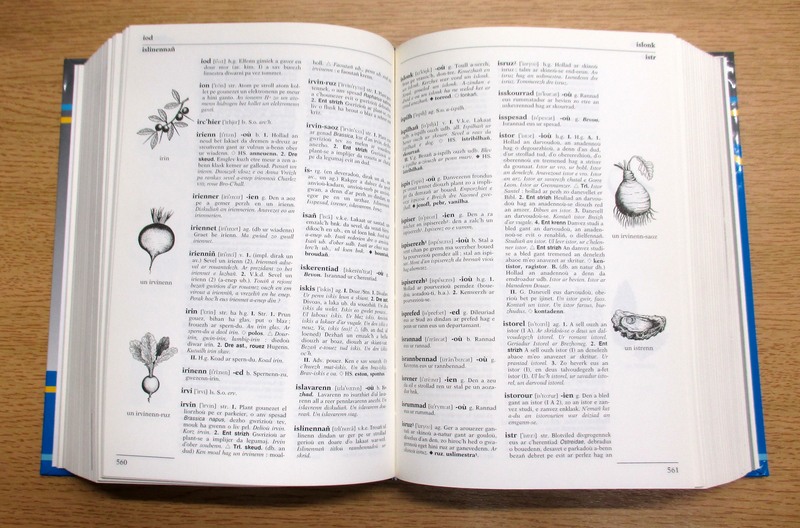 Apart from the main collections including German, French, Russian, Polish to mention a few, the Taylorian also houses less well known collections on minority languages, such as Welsh and Breton within the Celtic section or Occitan and Yiddish. To familiarise a wider audience with these ‘hidden treasures’ of the Taylorian, the seminar series ‘Introducing Endangered Languages’ was organised in Michaelmas Term 2015. The seminars were kindly given by Oxford specialists. How many Languages are there? What constitutes a language? The total number of languages in the world can only be estimated at around 7000. It is difficult to be certain, and it depends on what counts as a language. E.g. is Chinese one language or are Mandarin, Cantonese and other dialects regarded as separate languages? And is Arabic one language or does Egyptian Arabic count as a separate language? Assuming Chinese is one language, than it is the most spoken language in the world with more than a billion speakers. Second comes Spanish, followed by English. 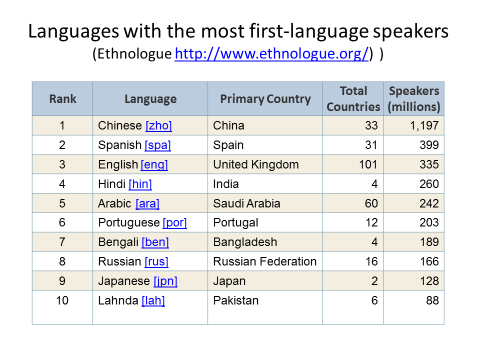 Here is a list of most spoken languages from the Ethnologue. When is a language endangered? Interestingly, 94% of the world population speaks only 6% of the world languages, so most people speak a main stream language as their first language. This also means that 6% of the world population speaks 94% of the world languages, so each of these languages have relatively small numbers of speakers. 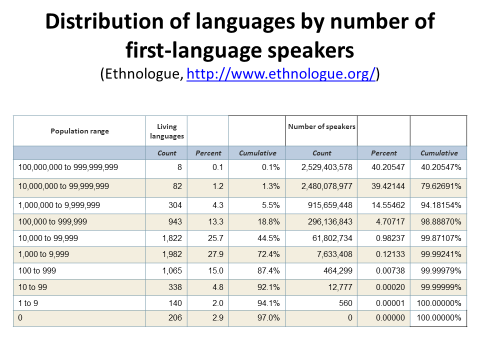 Numbers of speakers may vary: 10.000, 1000, 100 or even just 10 first language speakers. Over 300 languages have no first language speakers at all, all speakers are bilingual and use the minority language only in certain ‘domains’ e.g. home and family, whereas the major language may be used at school, work etc. Many of these languages without first language speakers are at risk to be ‘overtaken’ by the mainstream language. 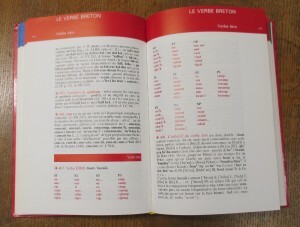 Most users of the Taylorian will have heard of European minority languages, such as Breton or Frisian, although languages like Friulian or Istro-Romanian are less well known. Most countries in Europe can be proud of having one or a few minority languages spoken within their borders. In terms of ‘language density’ however Europe is fairly ‘poor’, other regions in the world may have many more languages within one country. One of the most densely ‘languaged’ regions is South-East Asia. It is assumed that there are at least 1000 minority languages in Papua New Guinea alone, many of which have not even been documented. 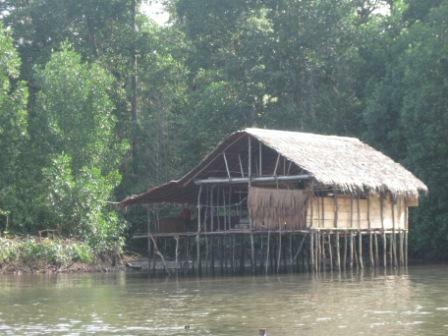 In the language-rich province of West-Papua in Indonesia there is a language on the brink of dying out: Dusner, an Austronesian language, only spoken by three people over 60. Fortunately, Prof. Dalrymple was just in time to meet them in April 2011. Flying out in a hurry to West-Papua after Dr Mofu had discovered Dusner, she then travelled to the idyllic village of Dusner that can only be reached by boat. Atlas of the world’s languages in danger Moseley, Christopher & Nicolas, Alexandre. Paris: Unesco, 2010. Taylor Library Linguistics Collection P40.5.L33 ATL 2010. Together with Dr Mofu who holds a D.Phil. from Oxford, she interviewed these last speakers to record their language. The Dusner speakers are featured below (from the project website http://dusner.clp.ox.ac.uk/). For those interested in the sound of Dusner, the website holds audio recordings of the interviews. Name: Emma Somesa Age: 85 Current address: Dusner Village Emma is the oldest speaker of Dusner. She speaks Dusner and Wandamen fluently, and also speaks Indonesian. We communicate with her through interpreters who speak Indonesian and Wandamen. Name: Enos Yoweni Age: 60 Current address: Sowiar Village, Simei Enos comes from Dusner and speaks 4 languages fluently: Kuri, Dusner, Wandamen and Indonesian. He is the head of Sowiar Village (a 3 hour walk from Dusner Village). There is no land transportation to his village. Name: Anna Imburi Age: 60 Current address: Yogyakarta, Central Java Anna comes from Dusner Village and speaks 3 languages fluently: Dusner, Wandamen and Indonesian. She is Emma Somesa’s niece. 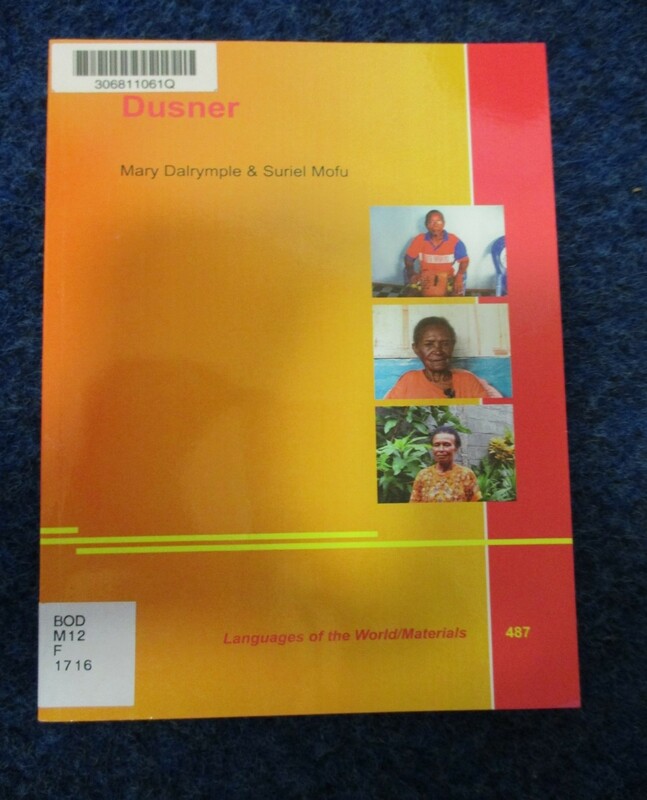 These interviews were the basis of a language documentation project which resulted in the publication of the first grammar of Dusner (by Mary Dalrymple & Suriel Mofu). Small languages like Dusner are really valuable from a linguistic point of view, since they often maintain the more complex linguistic constructions, whereas major languages will have been simplified to make them easier to acquire by adults. English is an example of a language that simplified over time. For example In Anglosaxon there were different verbal endings as in helpe, hilpst, hilpƥ, helpaƥ, helpe, helpen (present tense of helpan ‘to help’) whereas in Modern English there are only two forms in the present: help, helps. 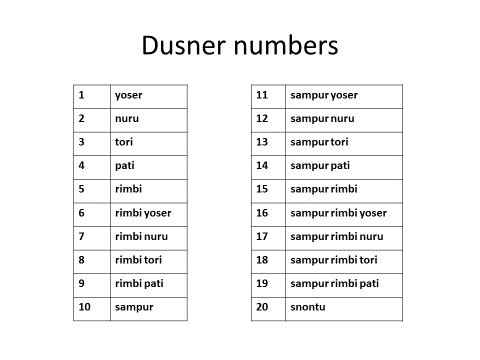 A remarkable feature of Dusner is the number system: it is a base five system, this means that there are separate words for one, two, three, four and five but six is expressed as ‘five one’ and seven as ‘five two’. Ten is a new word, eleven is ‘ten one’ and sixteen is expressed as ‘ten five one’. The grammar is the only one book on Dusner ever published and this is held in the Bodleian. The Taylorian holds a good collection on endangered languages more in general, the list of recommended resources can be found below. I’m grateful to Prof. Dalrymple for letting me use her slides and for giving me permission to use the table of Dusner numbers and the two tables on numbers of speakers, both based on information from Ethnologue. Florey, Margaret J (2010) Endangered languages of Austronesia. Oxford : Oxford University Press. De Dominicis, Amedeo (2006). Undescribed and endangered languages : the preservation of linguistic diversity. Newcastle-upon-Tyne : Cambridge Scholars. Closed Stack. Also online through SOLO. Crystal, David (2014). Language Death. Cambridge : Cambridge University Press. Harris, K.D. (2007) When Languages Die. The extinction of the World’s Languages and the Erosion of Human Knowledge. Oxford: OUP. Evans, Nicholas (2010). Dying words : endangered languages and what they have to tell us. Chichester, U.K. ; Malden, MA : Wiley-Blackwell. Taylor Institution Library Linguistics Collection P40.5.E53 EVA 2009. Fishman, Joshua A. (1991). Reversing language shift : theoretical and empirical foundations of assistance to threatened languages. Clevedon : Multilingual Matters. Fishman, Joshua A (2001). Can threatened languages be saved? : reversing language shift, revisited : a 21st century perspective. Clevedon : Multilingual Matters. Bodleian Library Lower Gladstone Link Open Shelves (UBHU) M01.F01417. Gordon, Raymond G. (2005). Ethnologue : languages of the world. Dallas, SIL International. Miyaoka, Osahito, Osamu Sakiyama and Michael E. Krauss (2007) The vanishing languages of the Pacific rim. Oxford : Oxford University. Nettle, Daniel & Suzanne Romaine (2000) Vanishing Voices: the extinction of the world’s languages.Oxford: OUP. Tsunoda, Tasaku (2006). Language endangerment and language revitalization : an introduction. Berlin : Mouton de Gruyter. Wurm, S. A.& Theo Baumann (1996). 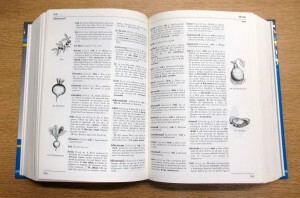 Atlas of the world’s languages in danger of disappearing. Paris : Unesco ; Canberra : Pacific Linguistics. Bodleian Library Weston RBMSS Open Shelves G1.B1.53 Maps. Moseley, Christopher & R.E. Asher (1994). Atlas of the world’s languages. London : Routledge. Moseley, Christopher (2012). The UNESCO atlas of the world’s languages in danger : context and process. Cambridge : World Oral Literature Project. Everett, Daniel Leonard (2009). Don’t sleep, there are snakes : life and language in the Amazonian jungle. London : Profile. Abley, Mark (2005).Spoken here : travels among threatened languages. London : Arrow Books. Drysdale, Helena.(2002). Mother tongues : travels through tribal Europe. London : Picador. 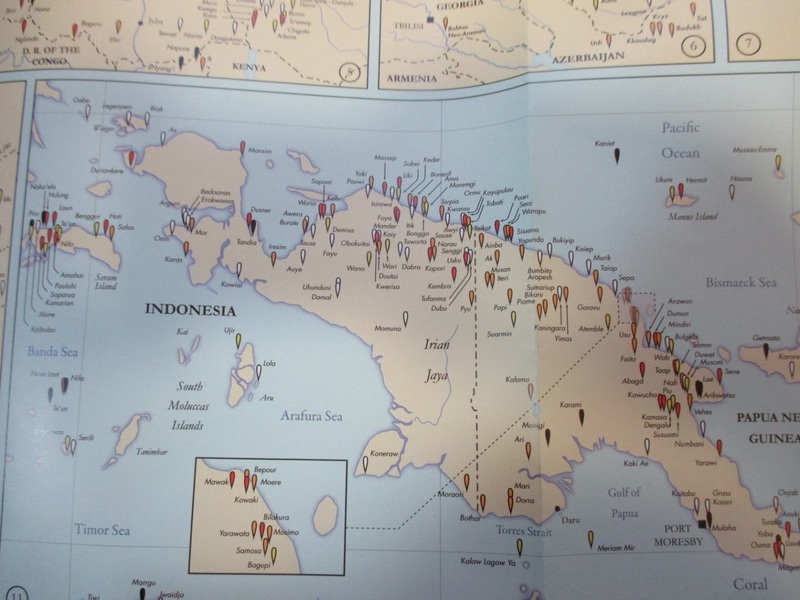 This entry was posted in Collections, Special Collections and tagged Dusner, endangered languages, indonesia, linguistics, West Papua on 4 March 2016 by Dan Q. 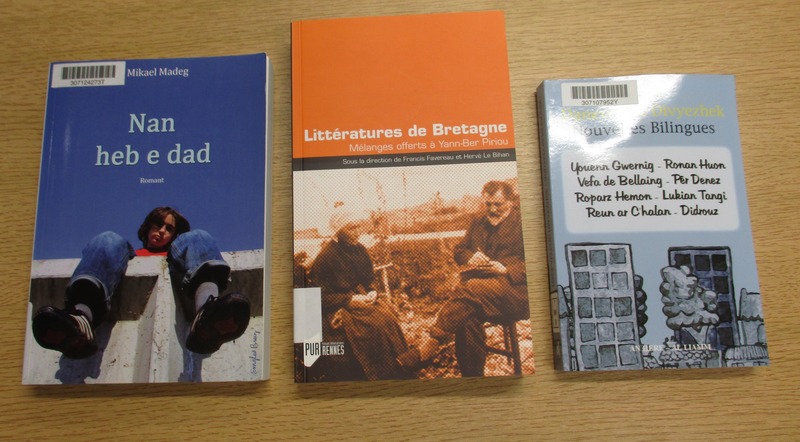 We continue the Breton theme with a post by a Breton scholar, Dr Éva Guillorel, who discusses the Taylorian’s wonderful collection of material relating to Breton oral tradition. In the last ten years, I have had the opportunity to work regularly with three of the best library collections related to Celtic studies in the world. 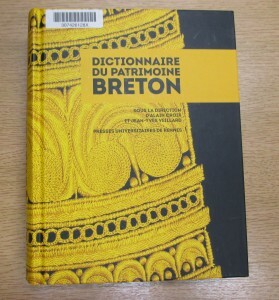 I was based in Brest when I completed my Ph.D. on Breton ballads and their connections with the history of early modern Brittany. Some of the work of Dr Eva Guillorel held in the Taylorian. Then I moved to Harvard for a post-doc on the mechanisms of transformation, renewal and transmission of oral traditions in Celtic countries. After a second post-doc in Québec on a totally different topic, Oxford was my final long lasting research experience abroad before obtaining a position as Associate Professor at the University of Caen in Normandy. The Oxford project entitled ‘Song and Social Protest in Early Modern Europe: Acts of Rebellion, Performance of Memory’, funded by the British Academy and supervised by Hertford College Lecturer David Hopkin, was based on a broad geographical area that exceeded Celtic countries. 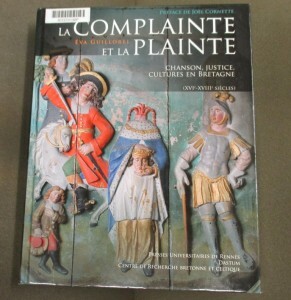 However, Breton oral literature as a source for early modern history has remained at the heart of my interests; that is why the collections of the Taylor Institution Library rapidly caught my attention. My first reaction as I went down the narrow staircase giving access to the Breton stacks for the first time, was surprise. 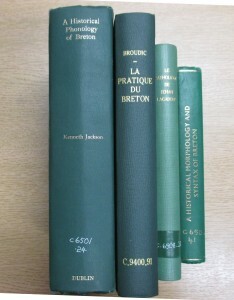 Breton is usually considered as the fifth wheel on the wagon of Celtic studies outside Brittany: Irish, Welsh as well as Scottish Gaelic are much more studied in Celtic departments, and I was expecting a small shelf dedicated to Breton books. But when I discovered the richness of the collection and the dynamism of acquisitions, I spent much more time in that library for my research. A particularly rich repertoire of songs has been preserved in Breton-speaking Brittany until the present day. The most fascinating among them are certainly the ancient ballads which relate local historical events – murders, infanticides, rapes and other tragic stories – that took place from the sixteenth to eighteenth centuries. 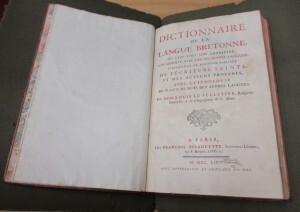 They are known as gwerzioù, a name which appears in old dictionaries like the Catholicon, the oldest Breton dictionary written in 1464 by Jehan Lagadeuc (the Taylorian Library owns four printed editions of this precious dictionary), or the detailed eighteenth-century Dictionnaire de la langue bretonne by Dom Louis Le Pelletier (shown below). These narrative songs are especially notable for the number of historical details they contain concerning names, events, beliefs or material culture, and for the quality of their oral transmission over several centuries. 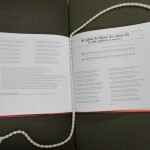 These songs have been preserved mostly without the support of handwritten or printed documents: contrary to close linguistic areas like French or English, there is very little evidence of written secular broadside ballads or chapbooks in Breton before the French Revolution. 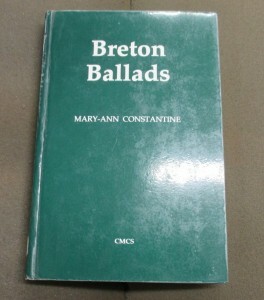 For those interested in learning more about gwerzioù and who are neither Breton nor French speakers, I strongly recommend Breton Ballads by Mary-Ann Constantine. In the first half of the nineteenth century, some educated gentlemen started to get interested in what was not yet called “oral literature” and wrote down folktales, legends and songs heard from oral performance from beggars and poor craftsmen and women in the countryside. 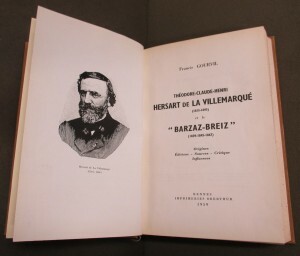 Théodore Hersart de La Villemarqué’s Barzaz-Breiz, whose first edition was published in 1839, was the first attempt to publish an anthology of such folksongs in France. The Taylorian library owns two of the successive editions of this book, including the last and most complete one in 1867. 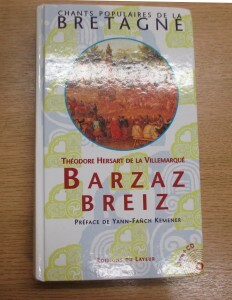 The anthology had such a success that French writer George Sand compared the “diamonds of the Barzaz-Breiz” to the Iliad and the Odyssey. 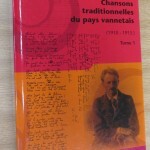 It deeply influenced the whole wave of song collecting in France, although the methods of his author were criticized. 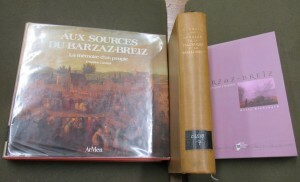 A series of studies about the “controversy of Barzaz-Breiz” followed, and the Taylorian Library holds all major works on this question, mainly three Ph.D. theses completed in Brittany: the first one written by Francis Gourvil in 1960, the remarkable work by Donatien Laurent in 1989 and the more recent analysis by Nelly Blanchard in 2006 (see pictures below). 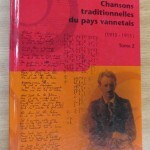 Following La Villemarqué, many folklorists continued to collect songs, tales and legends in Brittany from the nineteenth century to the present day. 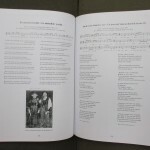 In recent years, the publication of songs in Breton with translations into French has been very active, particularly in the Vannetais area (South-East of Breton-speaking Brittany) with songs collected by Yves Le Diberder, Augustin Guillevic and Jean-Mathurin Cadic or in the Trégor area (North-East of Breton-speaking Brittany) with for example the very recent 2015 publication of Constance Le Mérer’s manuscripts (Constance Le Mérer ; textes et musiques présentés par Bernard Lasbleiz et Daniel Giraudon, Une collecte de chants populaires dans le pays de Lannion (Dastum 2015), a recent Taylorian acquisition. 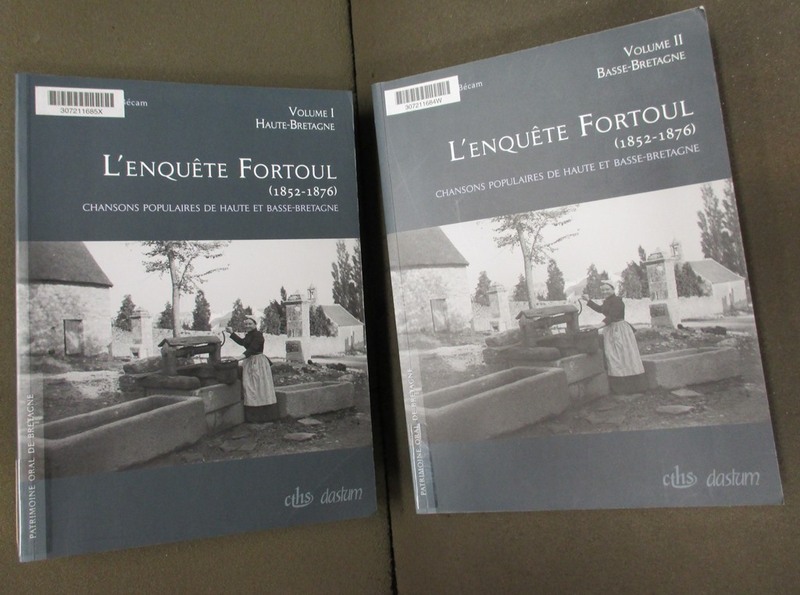 Both volumes also of L’enquête Fortoul, edited by Laurence Berthou-Bécam and Didier Bécam, give documented and detailed access to extensive fieldwork carried out throughout Brittany in the mid-nineteenth century. When one works on songs, one must also study legends, folktales, proverbs and other forms of Breton oral literature. 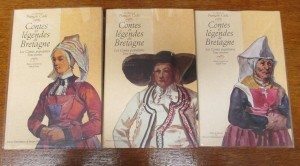 The Taylorian holds a broad range of books in this field, like the volumes of François-Marie Luzel’s tales, legends and letters edited by Françoise Morvan or the Contes et légendes de Bretagne gathered by François Cadic and edited by Fañch Postic. Fañch Postic (ed. ), Contes et légendes de Bretagne : Les contes populaires (Rennes : PUR, 1998-1999). François Cadic (ed. 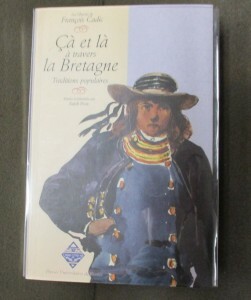 ), Cà et là à travers la Bretagne : les métiers, les habitudes et les travers des paysans bretons (Rennes : PUR, 2002). This entry was posted in Collections and tagged Breton, Cetlic, Oxford, Taylorian on 19 January 2016 by Dan Q. On 28th October, the world leading expert on Sorbian Dr Gerald Stone, fellow of Hertford College, gave an inspiring lecture in the seminar series ‘Introducing Endangered Languages’ which is being organised by the Taylor Institution Library. 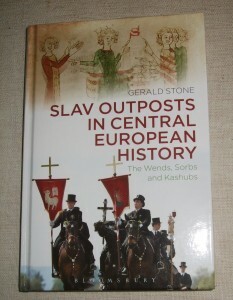 The Sorbs or ‘Wenden’ as they are called in German, are a Slavic nation that have always lived in Central Europe. Nowadays the Sorbs live in the area around Bautzen/Budissin and Cottbuss in Germany, close to the Polish and the Czech border. In former times, the Sorbian area streched to the rivers Elbe and Saale in the west. When Martin Luther preached in Wittenberg in the early 16th century he would have had Sorbian speakers among his German speaking congregation. Sorbian is divided in two dialects, known as Upper-Sorbian (around Bautzen) and Lower- Sorbian (north of Cottbuss). Interestingly, the difference between the two Sorbian dialects is very much based on religious differences between Protestants and Catholics who lived in fairly closed communities in separate villages. Since intermarriage did not happen much, the villages kept their religious identity and traditions and therefore their dialects for a long time. Although there are morphological and phonological differences in addition to lexical differences between Upper and Lower Sorbian, they are still regarded as one language. The future of Sorbian seems best guaranteed in Catholic villages, mainly in Upper Sorbia, where children speak Sorbian, whereas in Protestant villages that are mainly in the north, there is hardly anyone below the age of 50 still speaking the language. The Sorbischer Sprachatlas (Sorbian language atlas) gives a detailed overview of the Sorbian dialects and the parishes in which the dialects are spoken. Just across the Polish border, no Sorbian or related dialect is spoken at all due to political circumstances after WWII when Poles from east Poland settled in the area. H.Fasske et.al. Sorbischer Sprachatlas or Serbski rěčny atlas,Taylor Slavonic Library. The number of Sorbian speakers is estimated at over 6000 for Lower Sorbian and 15,000 for Upper Sorbian. The number of Sorbian speakers diminished greatly during the Nazi era, Sorbs being displaced or worse. The socialist government of the GDR took the opposite view and protected the Sorbs, enabled Sorbian schools and subsidised the publishing house Domowina, which still exists. Nowadays, the lack of economic prospects in the region is a threat for the future of Sorbian, and many young people seek employment further west. 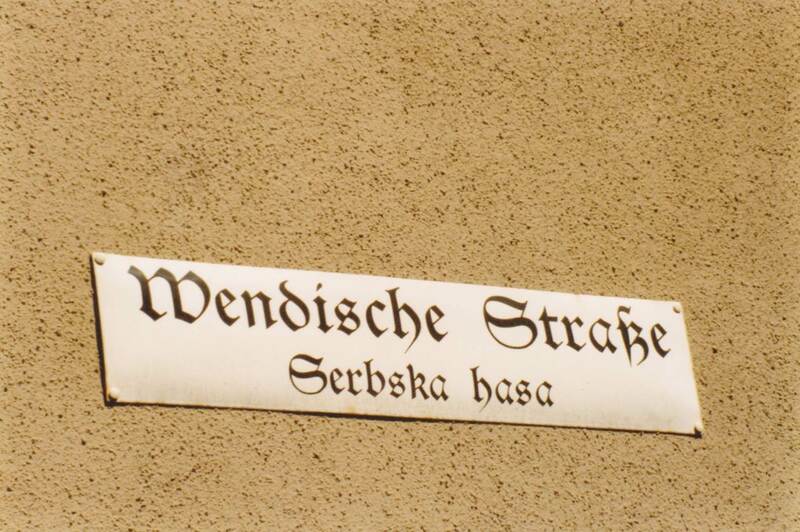 All Sorbian speakers are bilingual, and like to see this reflected in street name signs. In the GDR era when Sorbian was supported by the state, both languages were represented in the same font size, whereas nowadays, the German names are presented bigger than the Sorbian names. As the joke goes, this is because Germans are short-sighted…. Sorbians have lived in the area for centuries and maintained their traditions. 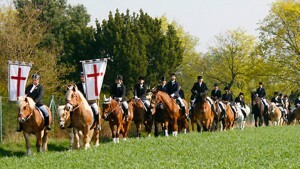 A well known tradition is the Easter riding or ‘Osterreiten’. At Easter, the Catholic men from one village ride in procession to the next village to announce the good news of Jesus’ resurrection. Men from this village then pay a visit in return. 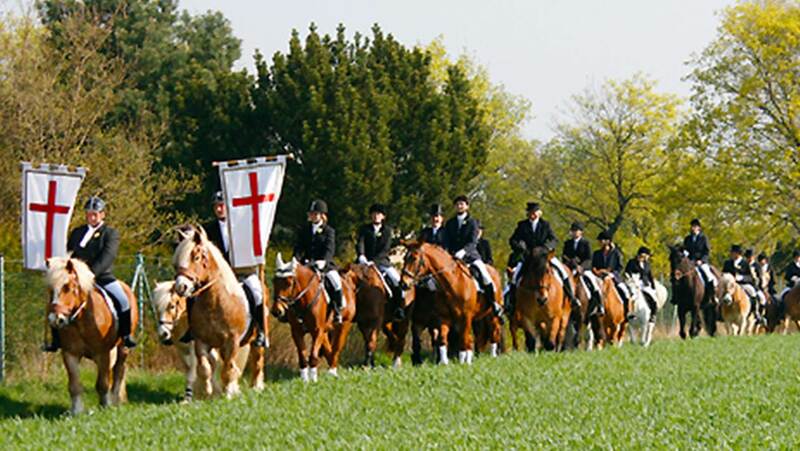 All ride on black horses, each procession can encompass up to 400 riders in black hats. 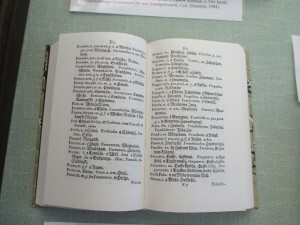 The Sorbian exhibition in the Voltaire Room shows some of the early history of Sorbian in print: Vocabularium latino-serbicum (Bautzen, 1721) of Jurij Hawštyn Swětlik ) and the first Upper Sorbian grammar, Jakub Xaver Ticin’s Principia linguae wendicae quam aliqui wandalicam vocant, first published in Prague in 1679. 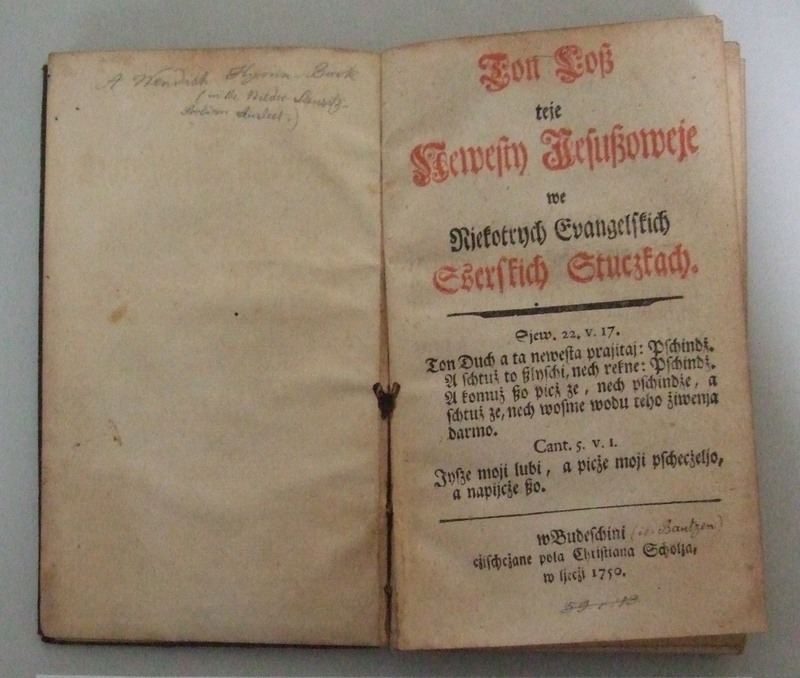 The Taylorian also holds a rare copy of the hymnbook by August Hersen who translated hymns by Graf Nikolaus von Zinzendorf into Sorbian in 1750. This copy Hłós teje njewjesty Jezusoweje…was donated to the Taylorian by Dr Stone in 1973. 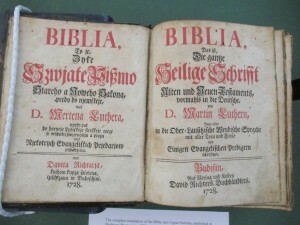 The first Bible in Sorbian was printed in 1728 in Bautzen. 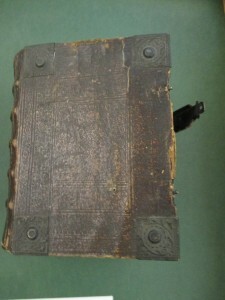 Dr Stone kindly lent his copy of this leather bound bible for the exhibition. I thank Dr Stone for supplying the captions for the exhibition, for his time spent in preparing the exhibition and telling me about the Sorbs. Without his contributions, I could not have written this blog. His latest book will be published in December this year. The largest Upper Sorbian dictionary with English translations (approximately 20,000 headwords) is Gerald Stone, Upper Sorbian – English Dictionary (Bautzen, 2002). 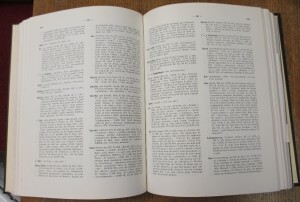 The leading modern dictionary of Lower Sorbian is Manfred Starosta, Dolnoserbsko- nimski słownik (Bautzen, 1999), containing about 45,000 headwords. The entries provide German equivalents, examples, and phraseology. 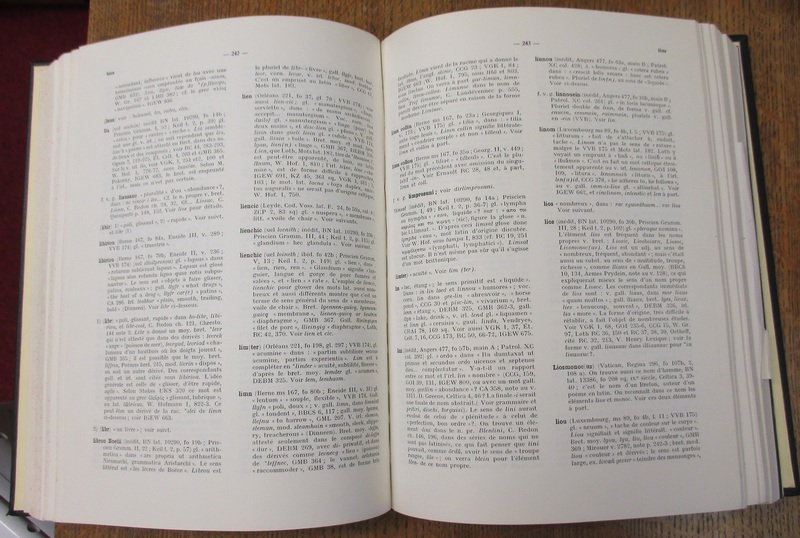 The biggest Sorbian dictionary of all is Karl Ernst Mucke, Wörterbuch der niederwendischen Sprache und ihrer Dialekte, 3 vols (St Peterburg-Prague, 1911-28) (over 2,000 pages). 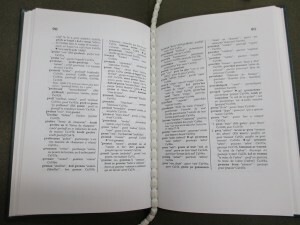 It contains more pages than any other Sorbian dictionary, but, because the entries are more detailed, the number of headwords (fewer than 40,000) is smaller than in Starosta. Much of its contents was collected orally by Mucke during his field-work in Lower Lusatia. Mucke, a dominant figure in Sorbian studies, is also the author of a detailed historical and comparative grammar of Lower Sorbian (including Upper Sorbian data): Historische und vergleichende Laut- und Formenlehre der niedersorbischen (niederlausitzisch-wendischen) Sprache (Leipzig, 1891), reprinted Leipzig, 1965. It makes use of mansucript sources and other material collected by the author. 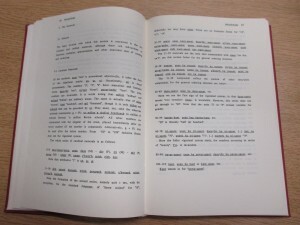 The definitive synchronic account of modern Upper Sorbian morphology is Helmut Faßke (in collaboration with Siegfried Michalk), Grammatik der obersorbischen Schriftsprache der Gegenwart: Morphologie (Bautzen, 1981). 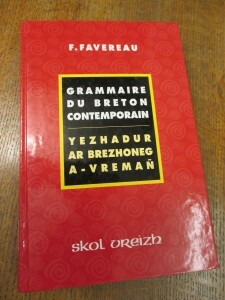 The most comprehensive grammar of modern Lower Sorbian in Pětr Janaš, Niedersorbische Grammatik für den Schulgebrauch, 2 ed. (Bautzen, 1984). The Sorbischer Sprachatlas by Helmut Fasske, H. Jentsch and Siegfried Michalk (Bautzen, 1968-96), presents data from some 140 villages. Evidence of the languages spoken by the Slav inhabitants of trans-Elbian Germany in the Middle Ages is mainly onomastic. 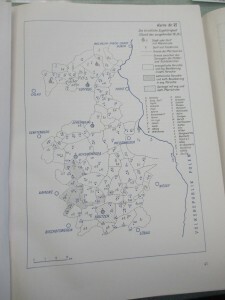 The definitive study of the place names of the southern (Sorbian) half of the area is Ernst Eichler, Slawische Ortsnamen zwischen Saale und Neiße, 4 vols (Bautzen, 1985-2009). G. Stone.1993. Sorbian. London:m Routledge. G. Stone.2015. Slav Outposts in Central European History: The Wends, Sorbs and Kashubs. London: bloomsbury. Beno Budar (b. 1946) is a leading Upper Sorbian writer of both poetry and prose. He has made a speciality of collecting the memoirs of ordinary people who lived through the Second World War (1939-45). His collection Tež ja mějach zbožo (I too was lucky) contains the recollections of Sorbian men who served in the Wehrmacht. 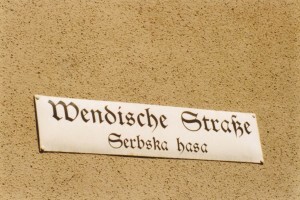 The first edition (2005) was quickly sold out (unusual for a Sorbian book). This is the 3rd edition. 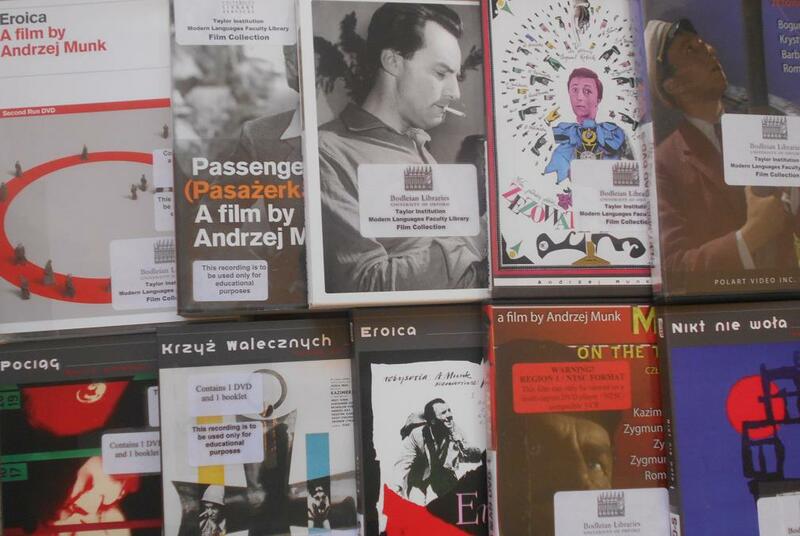 Sorbian literature tends to be limited to small-scale works (lyric poetry, short stories, novellas). Novels are very rare. Paradiz by Křesćan Krawc (Christian Schneider) (b. 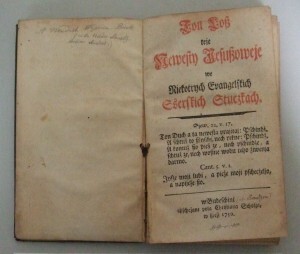 1938), the saga of a Sorbian family in the twentieth century (438 pp. 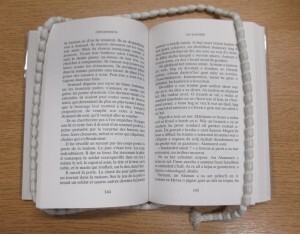 ), is one of the longest works of fiction in Sorbian ever published. 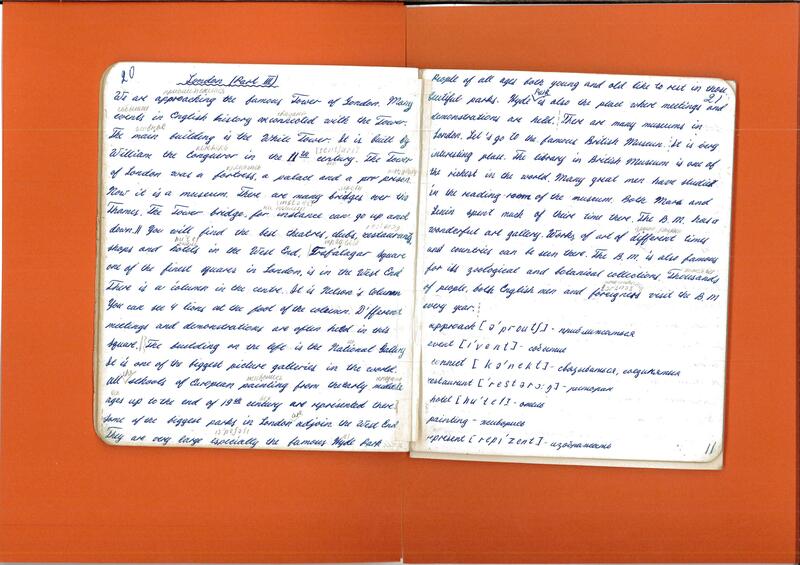 This entry was posted in Special Collections and tagged endangered languages, exhibitions, Sorbian on 23 November 2015 by Dan Q. It is good to de-clutter your flat or house, but my mother who is 86 and has been living in St. Petersburg, Russia for most of her life, never considered the possibility. The result is that after years of collecting she has something of a museum in her flat. But it is not the antique shop you may be thinking of. People who returned to St Petersburg (then Leningrad) after the Second World War didn’t have many possessions and this is why they were reluctant to part with the things they acquired later. During my visits to see my mother I feel like I’m using a time machine to go back to Soviet Russia, or the USSR – a country which doesn’t exist anymore. 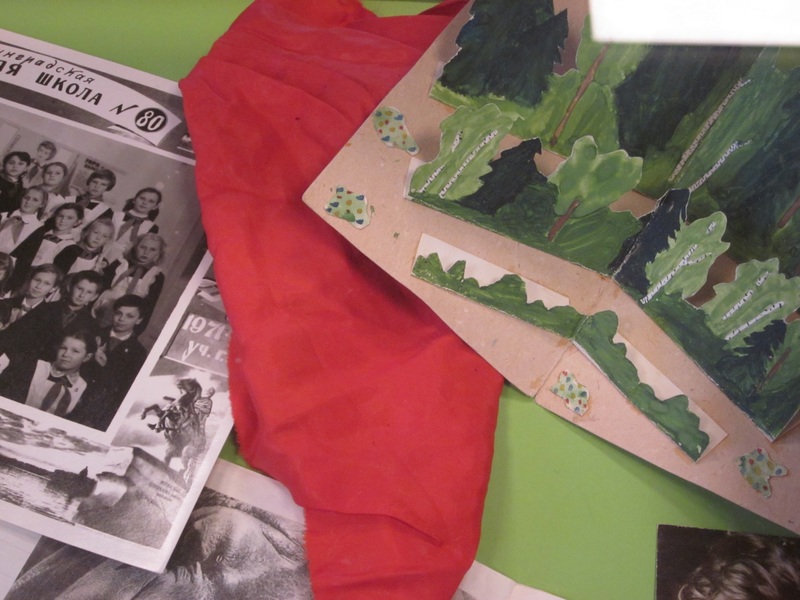 Looking through old photos, documents, clothes and other items I tried to look at them as an artist and archivist: How can I interpret these simple but valuable objects to tell a story? 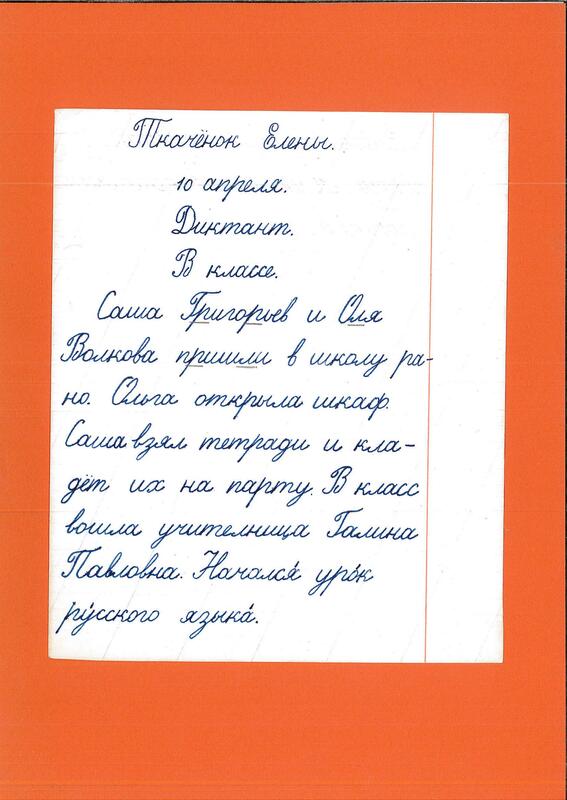 Readers at the Taylor Bodleian Slavonic & Modern Greek Library (TABS) have shown considerable interest in the reality of Soviet life during the past several years and this gave me the idea of creating an exhibition-installation of artefacts from that period. 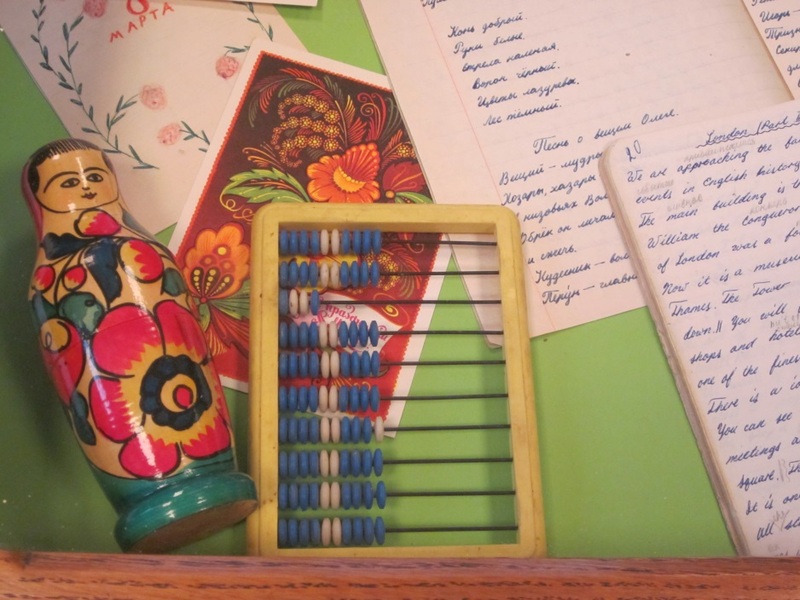 The topic for the first exhibition is “Soviet School” or “Soviet childhood”. In this display you can find my original notebooks, cards, photos, pictures and a few toys from the late 1960s and 1970s. My mum kept them all! 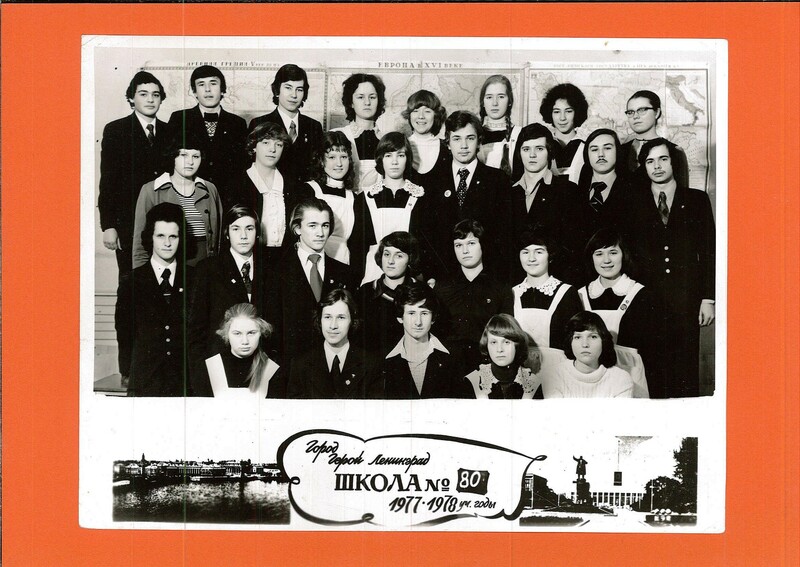 In the 1st form group photo the girls are wearing dark dresses and white aprons, some with white ribbons, while the boys are dressed in dark suits. We all look serious because smiling wasn’t the done thing in school photos at that time. It was a strict system, learning how to write. All children had to go through hours and hours of practising their hooks, lines and loops. 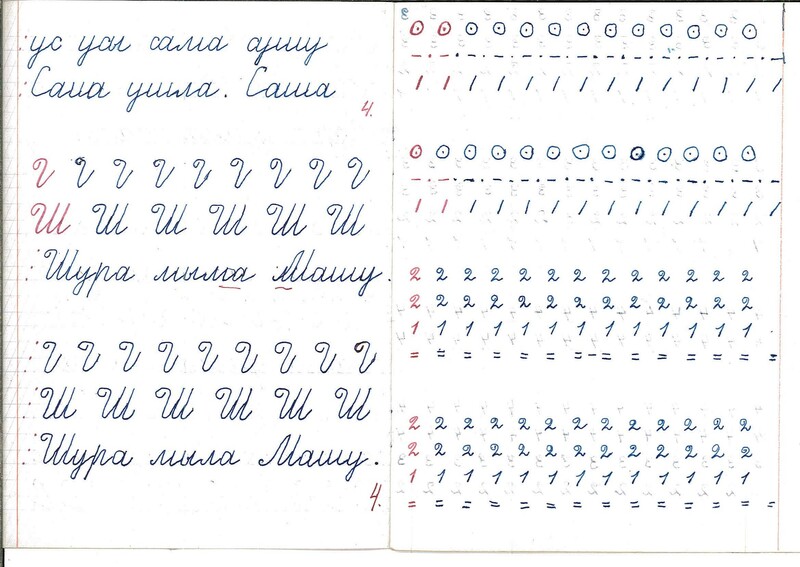 This is why some Russians have very similar handwriting. 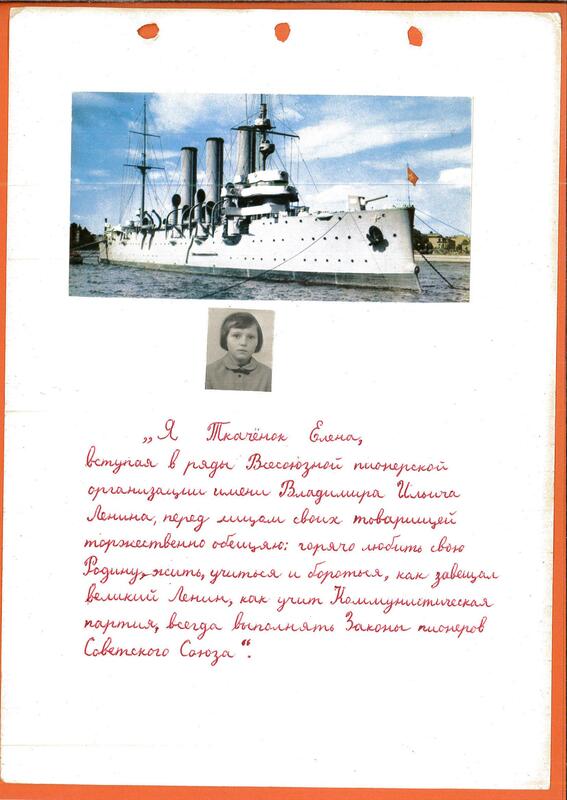 In the left-hand cabinet (shown below) is my oath before joining the Pioneer League, decorated with a portrait of Lenin; and a photo of the cruiser Aurora, whose signal started the October Revolution. During our first years at school we were called Octiabriata (the suffix “ata” means “little” like in kotiata – kittens). So we were little followers of the October Revolution and we called Lenin our grandfather. The next step was the Pioneer League, a more serious organisation. Pioneer meant “The First” so we had to show an example of good study and behaviour to all other children. Before joining we had to write, learn and say by heart the oath to ardently love our country, to live, learn and fight, as set out by Lenin and as taught by the Communist Party. A Pioneer is devoted to the motherland, party, communism. A Pioneer is the best in his/her studies, work and sport. A Pioneer is an honest and faithful friend, always boldly standing for the truth. The idea for this youth organization was taken from the Scout movement, with the addition of communist principles. All Pioneers had to wear red ties and badges. On ordinary days girls were in black aprons and, for special occasions, white ones, as in our school photo. We stayed at the same school for 10 years, starting at seven years old and finishing at seventeen. Or uniform remained the same throughout. During the last year I became a little bit rebellious so I stopped wearing an apron, as did some of my friends. In the photo below, am in the bottom row, far right. No smiles again! Next came the Komsomol League, joining which came very close to becoming a proper Communist Party member. A few boys in the above photograph are wearing a Komsomol member badge on their jackets. By this time we understood that it was only propaganda, nobody took it seriously, and we knew that we needed to be members of Komsomol to go to University. If you were not you could have problems with admissions. As in all schools we had to study as well, which was a little bit of a chore. No computers, calculators or mobile phones at that time; just pens, paper, books, blackboard and an abacus. English was my favourite subject. Here (below) is my essay on “London”, a topic we had to write and learn about in 5th form (11-12 years old). Who knew that I would be living in London some time later, before moving to Oxford! The curriculum was very intense and even Saturday was a day for studying. Recently, I had a nightmare that I was back in school and would not have my full weekends any more. However, it wasn’t all hard work. We had some fun as well, and the best time was the summer holidays! Three months of freedom – from 31 May to 31 August. Children went to Pioneer camps or to their grandparents’ dachas or villages, so parents had some rest as well. I’m still in touch with many of my classmates. Some of us are spread around the world now but we have Skype and e-mails so we stay connected. Please come and take a look at the Exhibition, and I will tell you more stories and anecdotes from the planet USSR. 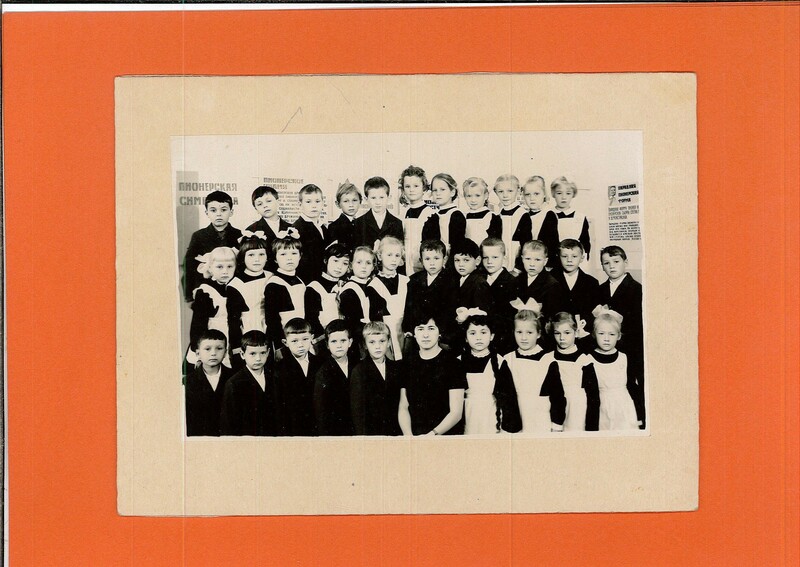 This entry was posted in Archives and tagged School days, Soviet Russia, USSR on 20 April 2015 by Dan Q.